Food food food... How much could I talk about food.. Korean food... I could barely stop. Korean cuisine has to be my favourite cuisine on the planet, and God knows I love chinese, japanese, italian, french or even indian cuisines. But korean dishes are... too good to resist! The sad thing is very few of them are actually vegan or vegetarian friendly, unless they're slightly modified. Kimchi unfortunately falls into this category as well. BUT awesome news, it's easy to make it vegan! And life couldn't be better could it? 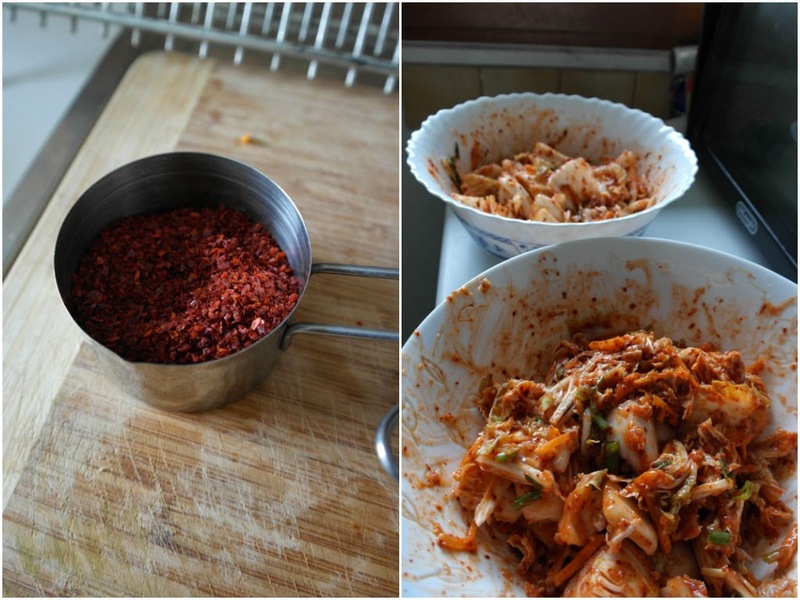 The ingredients you'll need are easy to find and surprisingly, the process of doing the kimchi isn't that laborious! it's a bit long, but not difficult! As for the measurements, I didn't really respect any recipe guideline, but I recommend Mangchi's recipe. I had only a little cabbage, so I used 4cloves of garlic, half an onion, a small piece of ginger, one carrot, 5green onions and half a cup of red pepper flakes! For the porridge, about two cups of water and half a cup of flour, I didn't use sugar but stevia ! 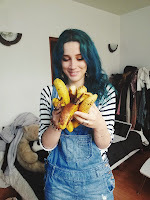 You want to cut the cabbage in small pieces and rinse it thorougly, then salt it and let it aside for 1 to 2hours, while mixing it every half hour to make sure it's evenly salted. 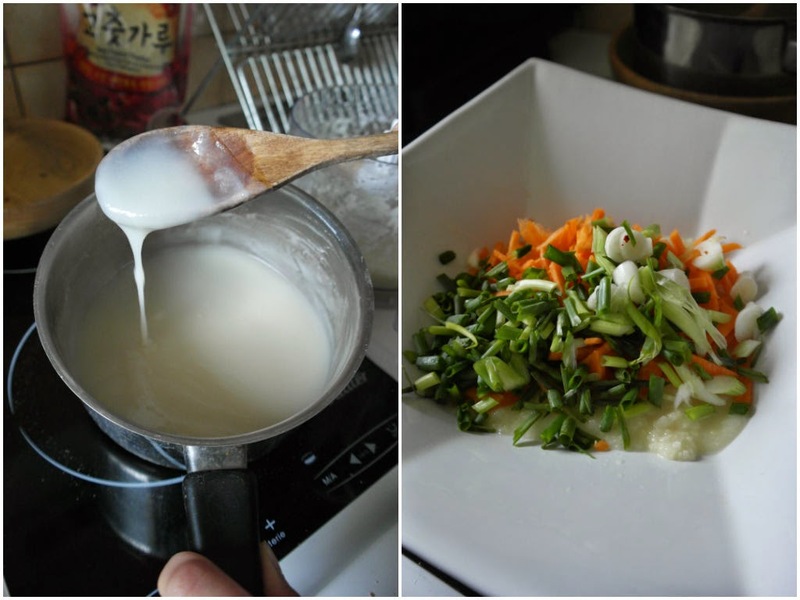 Once you've done that, it's time for the kimchi paste! Mix the ginger, garlic onion and a bit of water, then add the porridge(just add water&flour&sugar-stevia and mix until it gets thick) once cooled down. Throw in the chopped veggies of your choice, I went for carrot&green onions, and finally, the red pepper flakes! Make sure to add just enough, but not too much. Unless you can handle a lot of spiciness! 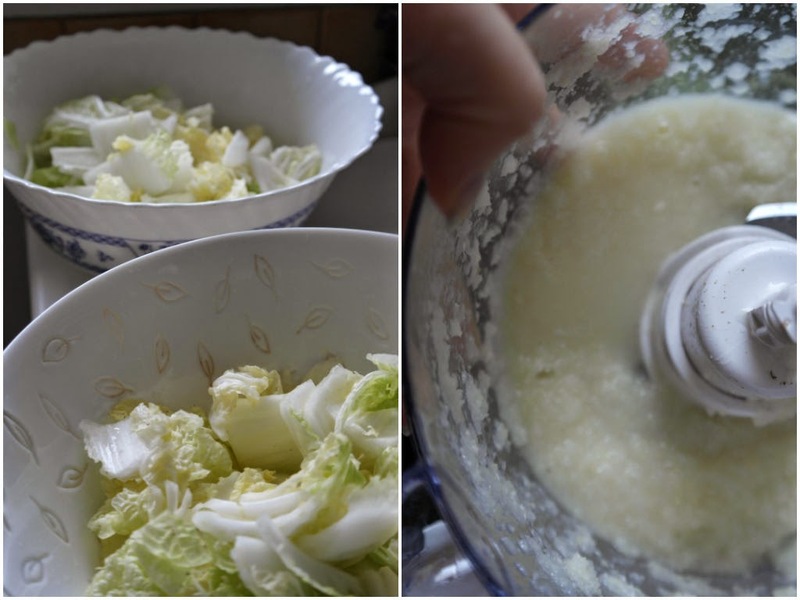 Then it's all a matter of coating the cabbage with the paste, storing it in the fridge and the best part... eating it! The paste you should get at the end! 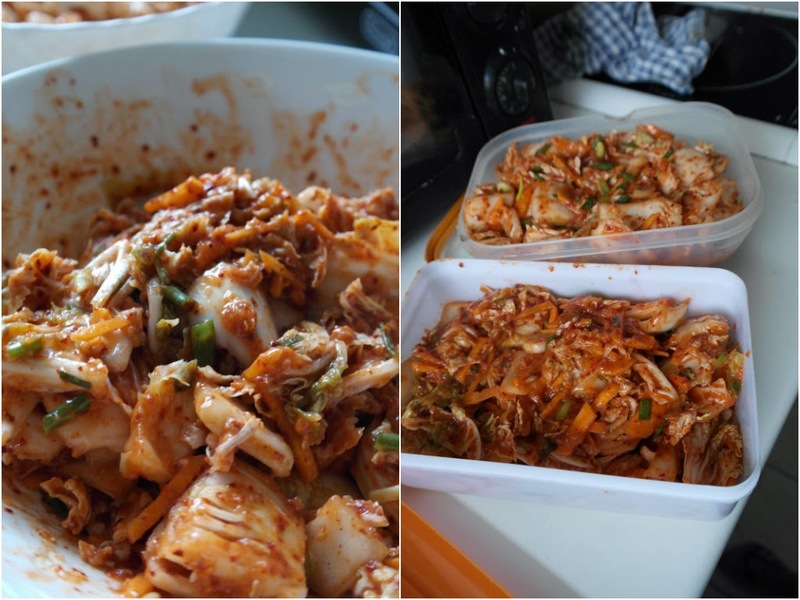 Kimchi is delicious with white rice, or you could also make kimchi fried rice, kimchi stew, kimchijeon which is a delicious pancake ... It's very spicy, slighlty sour but so delicious! I'm a fan of yours who happens to be Indian. Indian cuisine is incredibly vegan and vegetarian friendly (40% of Indians are complete vegetarians). Almost all of the Indian restaurants overseas dish out only a specific subset of the cuisine—mainly Punjabi (which is not vegan friendly). This is the reason for your misconception. P.S. how ironic is it that I'm eating Jap Chae for dinner that my boyfriend's mother made the other day and as I'm scrolling through my blog feed I find your kimchi post. Ohh Jap Chae...that sounds delicious ! hey emy! this sounds delicious! nevertheless great recipe, I'm going to try it this week!